Monte San Michele is situated in the Chianti mountain range which has an average altitude of about 800 metres above sea level and descends into the catchment basin of the River Greve, a tributary of the River Amo. The most direct access is by unmade road from Greve, the provincial capital, as well as from the hamlet of Lucolena. 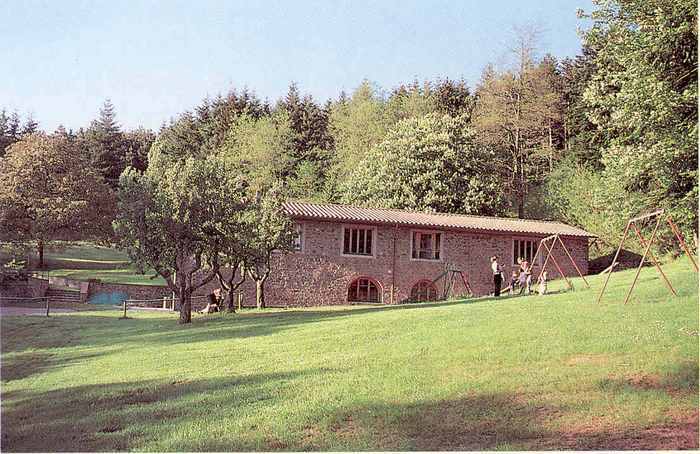 The area, once the property of the Bertini family, comprises about 95 hectares of woodland. The area of Monte San Michele is composed almost exclusively of sand- stone dating back to when the Chianti area was formed. Only in the areas of Poggio Corno and Poggio Convento afe there limited formations of clay and marI with calcareous and chalcarenitic levels. 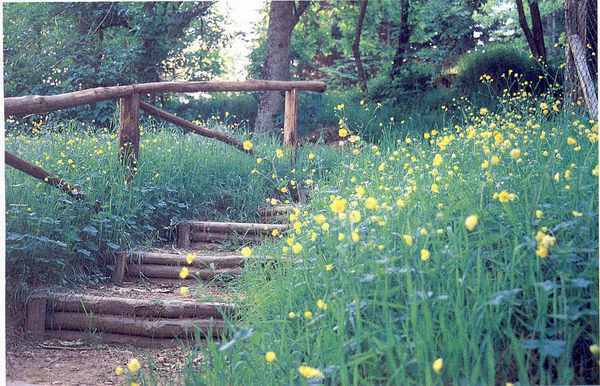 The landscape of Monte San Michele is prevalently wooded and forrns part of the mountain range called Monti del Chianti, noted for its extraordinary beauty, its marvellous views and easy access. The area is characterised by a soft morphology with gentle slopes except in limited areas in the vicinity of trenches. The climate of Monte San Michele falls into the 'Castanetum" phytoclimatic band (according to Pavari's classification), i.e. warm with summer drought. The rich forest vegetation alternates with wide open meadows and shrubbery which is the natural habitat of the birdlife of the area. There is a large number of natural springs, some of which are well maintained. Hiking routes are clearly marked and easily accessible even to less expert walkers. The guest-house of the same name located in the area offers meals and accommodation. The area of Monte San Michele extends to around 165 hectares, lies between 600 and 890 metres above sea level and is comprised within the geographical region of the Chianti Mountains. The region is an important one with regard to nature and landscape and is visited by both local people and tourists. It has been the subject far several important projects aimed at environment and forestry improvement and also provides facilities for use by visitors. Much of the area is covered with woodland, both wild (mainly chestnut groves and oaks) and cultivated, with a forest growth of Douglas firs and pines. Facilities for visitors are in the vicinity of the Villa San Michele. 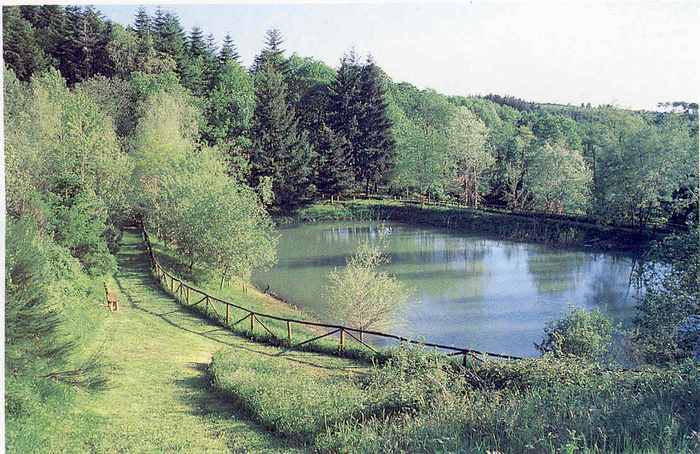 Particular attractions are two fountains, the 'Barbiere' and the 'Lavatoio', restructured and equipped in natural materials (wood and stone) and the area of the San Michele lake, an important recreation spot. Visitors, including children and old people can move freely within the park using a network of forest tracks. An environment-educational path, about 2 kilometres long, helps visitors to admire the vegetation with the use of strategically placed signs conveying information regarding plants and shrubs. It is also worth noting that the forest tracks have also been repaired using only natural materials and with natural engineering techniques. adults and children. Equipment is positioned along the path so that walkers can do the exercises, following the signposts which give explanations and advice for correct use. The present environment and landscape of Monte San Michele is the result of human settlement which, over the centuries, has modified the original vegetation and landscape in response to the requirements of human activity. The original forest vegetation has therefore been modified by the planting of conifers on former pasture and arable land: Douglas firs (Pseudotsuga menziesii), pines (Pinus nigra), the silver fir (Abies alba), Scots pine (Pinus silvestris), etc. In cooler areas, natural vegetation consists of coppices of chestnuts (Castanea sativa) and durmasts (Quercus pubescens) in drier areas. Among the most important trees are hophorn-beams (Ostrya capinifolia), cherry trees (Prunus avium), maples (Acer campestris) and other broadleafs. Shrubs and grasses constitute a natural habitat for many animals and a variety of insects and are thus a source of natural wealth which has to be protected. The most common shrubs are cornel-trees (Cornus mas), white thorns (Crataegus monogyna), blackthorns (Prunus spinosa), Euonimus europaeus and, locally, juniper (Juniperus communis). Growing on sandy ground with deep soil afe heather (Erica scoparia), broom (Srothamnus scoparia) and brake (Pteridium aquilinum); in areas with only superficial soil there is Helicrisium italicum, a species with a beautiful, gaudy yellow flowering. In the herbaceous stratum there are flowers with strikingly contrasting colours which bloom in all seasons, namely Brachipodium, Dacatilis glomerata, Bromus spp., Phleum pratense. The area is rich in fauna: among the mammals are hares (Lepus europaeus), squirrels, (Sciurus vulgaris), foxes (Vulpes vulpes), hedge- hogs (Erauceus europae), wild boars (Sus scrofa), roes (Cap reo lus capreolus), porcupines (Hjstrix cristata) and fallow deers (Dama dama). Birds are particularly numerous and include the hawk species (kestrel, buzzard), small owls, tawny owls, pheasants, the dove species (turtle-dove, ringdove), sparrows and allied species (robin, nightingale). Monte San Michele, at one time used for forestry and farming, has, over time, assumed a recreational character and is now used almost exclusively for amusement and leisure. This transformation requires a different type of management from that required by forestry, where the main objective is wood yield. The management of the area by the Municipal Administration in recent years, has pursued a policy of comprehensive improvement of the environment and the creation of facilities for visitors. 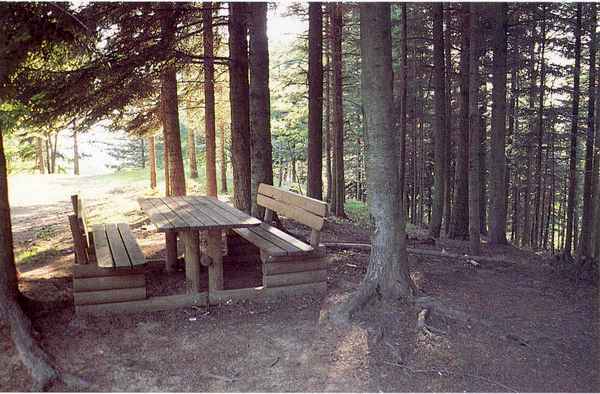 A practical example is the creation of picnic areas with wooden tables and benches as well as trekking and recreation paths. This kind of environment, if protected from fires and respected by visitors, will, in the future, be a model for outdoor areas for public use.